Last week I was walking down Sparks Street when I heard music and saw a lot of bright lights. 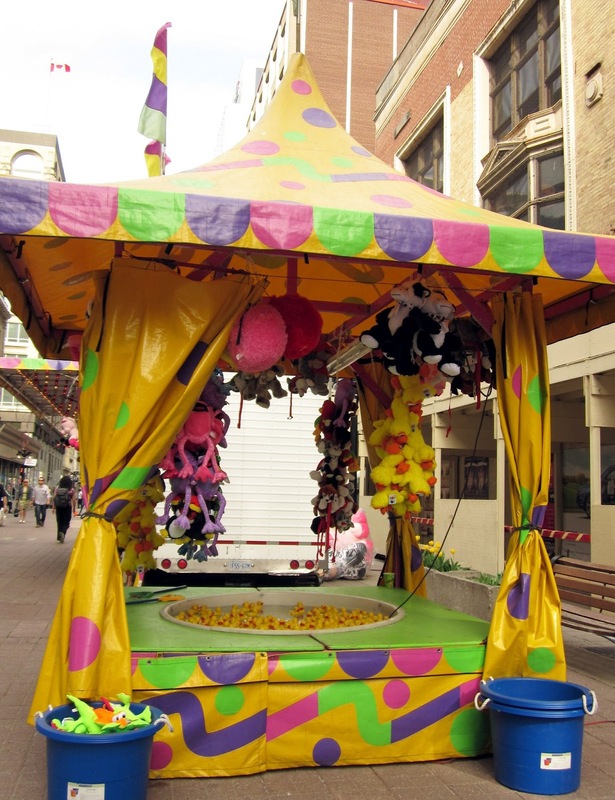 Lo and behold, there were several fairground-type rides and booths where you could try to win stuffed toy prizes - all very surprisingly right in the middle of the downtown. 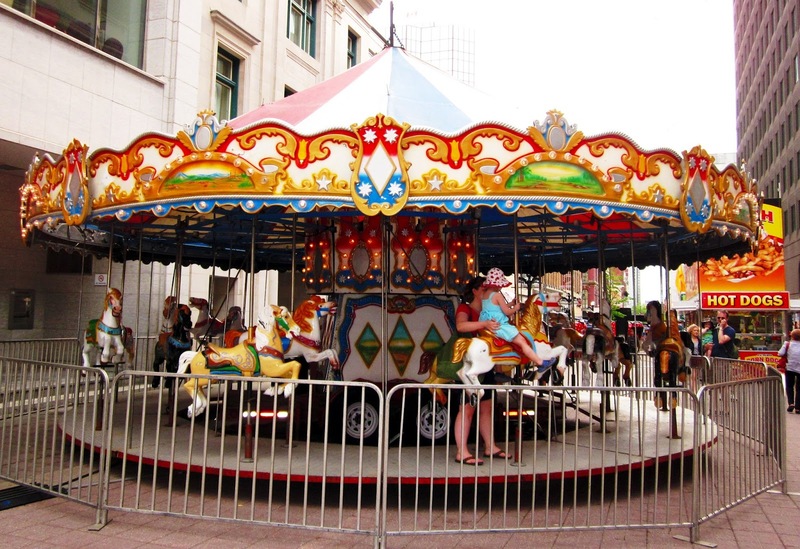 There was an old-fashioned ferris wheel and this gorgeous merry-go-round with a few children riding the painted horses. I loved all the gaudy decoration on everything. Among all the booths and hot dog stands, this tent was standing alone. I went closer to see what was in the center. 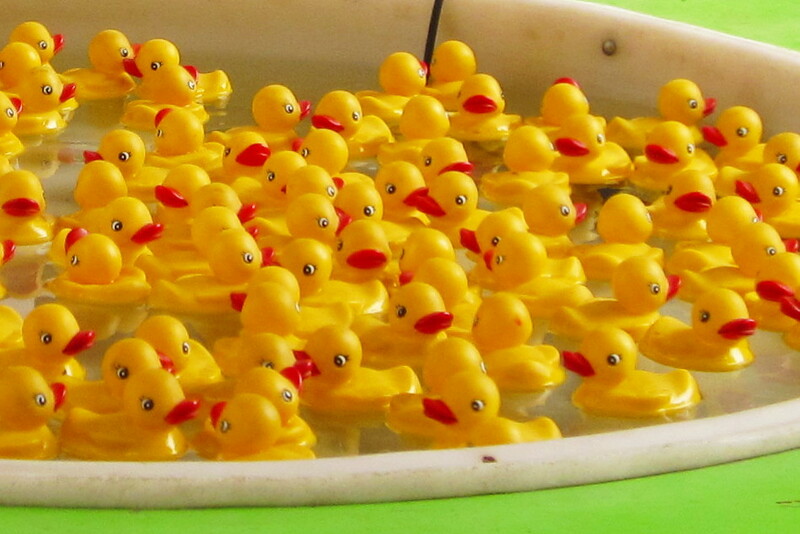 It was a tub full of rubber duckies floating around. I guess it was some sort of game where one tried to scoop out a rubber ducky and win a prize. Wouldn't you love to have that many rubber duckies in your bath? As I was leaving, I noticed this stuffed toy pig looking down at me from inside one of the booths. I could imagine some child really wanting to take him home. 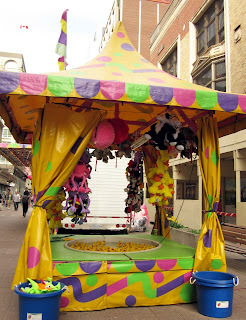 Fun to see all this playfulness and colour in the middle of the usually dull, grey city.